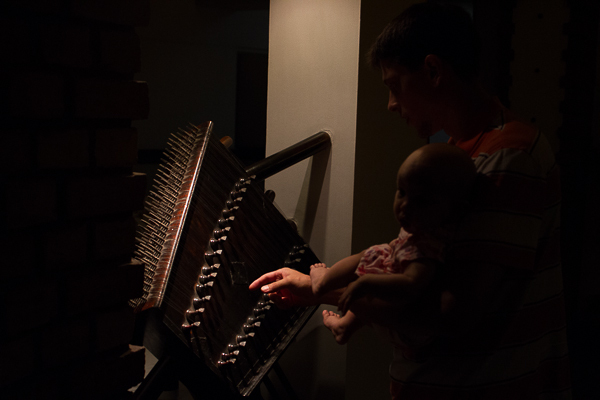 Checking out the Santoor at the Santoor’s Restaurant in Dhaka, Bangladesh. This restaurant has some great Chinese, Indian and Bangla food! You will likely have to guess which father with his daughter is checking out the musical instrument.